Since the Risorgimento, Venice has faced many challenges, including an economy reliant on tourism and a population that rejects change. Bosworth (Senior Research Fellow/Jesus Coll., Oxford; Whispering City: Rome and Its Histories, 2011, etc.) shows a city lacking the vibrancy of Renaissance times. 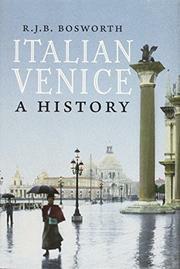 The author understands Venetians’ longing for the republic dissolved by Napoleon and their fight against modernism. The struggle to return to the glory days of Dalmatian rule and position as a global trading center is a significant part of their psyche. The decision in 1866 to join the unification of Italy in the Risorgimento only made them part of a country; they would always be Venetian first. Proponents of the idea of com’era e dov’era (as it was and where it was) fight tooth and nail against modernism. Despite efforts from men like Giussepe Volpi and Giuseppe Giuriati, attempts to broaden Venice’s economy have been blocked by bureaucracy, dirty politics and disinterest. The Mestre and Maghera, where factories were built in attempts at industrialization to create employment outside of the tourist industry, were only slightly successful. Those intimately familiar with Venice will find the journey illuminating, while others may be searching for a map. Bosworth is meticulous in his approach, but readers without background knowledge about the city may get lost as the author cycles through a variety of place names without adequate explanation of the geography. The author calls Venice an ordinary city plagued by bad housing and recurrent unemployment; the threat of flooding and the city’s crumbling architecture are also significant pieces of the puzzle. For students of Italian history, a thorough portrait of the many attempts in the last 300 years to prevent the death of Venice and to survive foreign rule, wars and horrendous poverty.